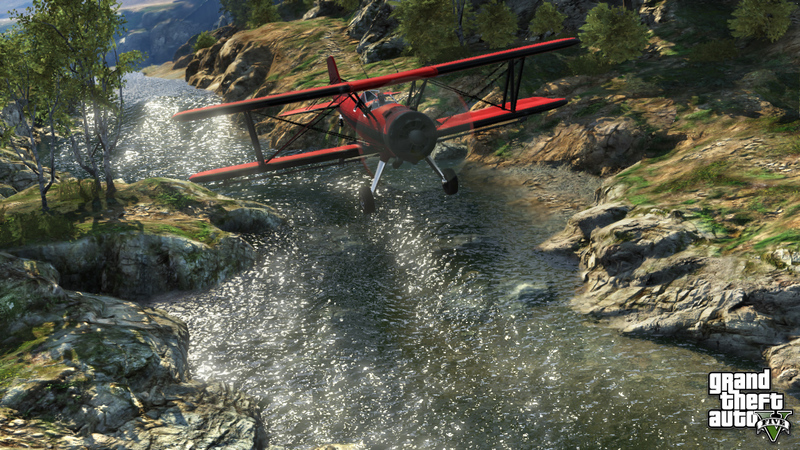 To jump right into the action, just hit the Adversary Mode prompt on the GTAV launch screen or enter by selecting Adversary Modes 9 from the Rockstar Playlists in the pause menu. Throughout this week, Docktease is offering 50% off all Galaxy Super Yachts and all model upgrades. Before navigating your new beaut in the deep blue sea, stack her up with all the amenities as Yacht Customizations are also at a 25% discount – this includes chrome fittings, color combinations, lighting and more. It's a buyer's market, with tremendous savings this week compliments of Dynasty 8. This includes 50% off all Property purchases as well as 25% off High End Apartment Interiors. Meanwhile Dynasty 8 Executive is also offering steep discounts on commercial property, with 50% off all Offices and 25% discounts on all Office Interiors and Mods. You can never be too prepared – so now is as good a time as any to pick up a Cargobob or Buckingham Valkyrie – as both are half off at Warstock Cache & Carry. In the case of the Valkyrie, the Humane Labs Heist completion requirement has also temporarily been waived. The folks at Benny's Original Motor Works are also getting in on the action this week, offering 25% off the Bravado Banshee 900R Upgrade. Bring your standard model down to their Strawberry location and roll out with a customized, high-speed beast fit for competition. This week's Premium Stunt Race features the popular "Downtown Loop", and is set to the Banshee 900R. True to its name with a series of loops, corkscrews and jumps set in downtown Los Santos, this Premium Stunt Race features payouts for the top 3 finishers and Triple RP for all participants. To hop right into the high-stakes action, enter via the Quick Job App or visit the yellow Premium Race blip at Legion Square. 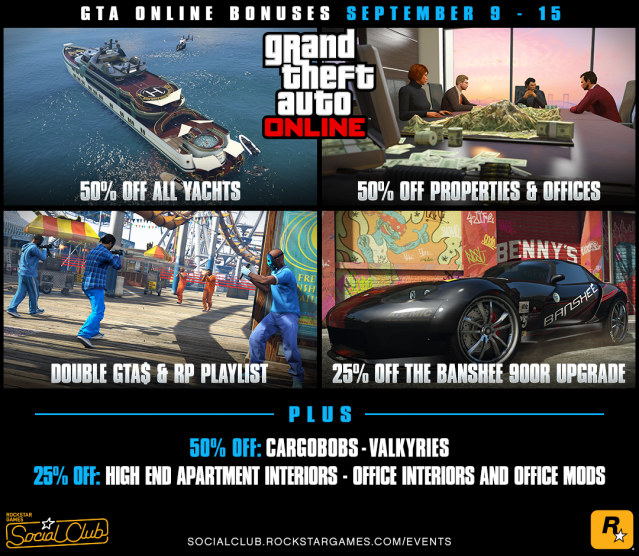 Half Off Properties & More This Week - This week's new-gen GTA Online bonuses and discounts.